AirAsia Group, the Malaysia-based budget airline, has called in Hills Balfour as it plans to expand in Europe. 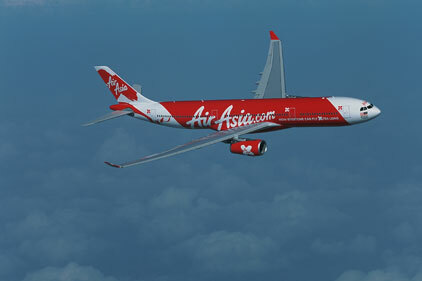 The low-cost airline launched in 2003, providing short-haul flights across Asia. In 2007, it created a long-haul sister brand AirAsia X and launched direct flights from London Stansted to Kuala Lumpur in 2009. Hills Balfour has now been asked to raise awareness of the brand among consumers, investors and the corporate sector, and promote the airline's sport sponsorships, which include Formula One's Team Lotus. The travel PR specialist won the 12-month account following a seven-way pitch, unseating incumbent Euro RSCG PR, who will continue to advise the group CEO Tony Fernandes on personal PR. The airline is set to expand across Europe, using the UK as a key hub. It launched a direct service from Paris to Kuala Lumpur in February. Hills Balfour MD Jonathan Sloan said his agency had been asked to raise awareness of the brand among potential financial investors, as well as consumers ahead of any expansion developments. 'We want people to be aware of the brand and its ethos,' he said. In 2007, the Virgin Group bought a 20 per cent stake in the airline, which is run by Tony Fernandes, a former Virgin Records executive. Fernandez and Virgin boss Richard Branson both sponsor rival Formula One teams. Last season, they made a bet that whoever's team had the fewest points at the end of the season would have to dress up as an air stewardess and serve on their rival's airline. Branson lost the bet, and is currently scheduled to serve as a flight attendant on a charity AirAsia X flight in July. The Daily Mail reported on 1 May that Fernandes is planning a share float for AirAsia X to raise up to £175m in the second half of 2011. The airline is planning to use the extra money to pay for new planes.